Hamburguesa Nostra stands out among all hamburgers in Madrid due to the quality of its products. 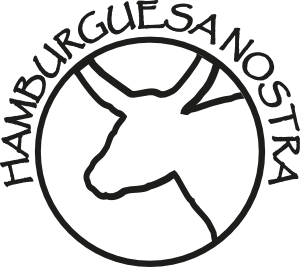 It is a hamburger restaurant specialized in creating the most exquisite patties made with meat of the best cattle breeds in Spain. Therefore, if you are thinking about eating a really special burger, you know where to go. To Hamburguesa Nostra in the Manoteras Centre in Madrid! Although the premises of the Hamburguesa Nostra brand are relatively recent, in actual fact this is the result of many years of hard work. Its history begins in the 70s, in a butcher shop in the neighbourhood of Chamartín. There, the Rodriguez family owns a business that serves the best meats in the country. An experience that is accumulating over the years and that will be passed on to their descendants. They are the ones who have undertaken different business ventures, but always focused on their passion for quality meat. And among them is Hamburger Nostra. That’s why we should not be surprised that all this wisdom has managed to create the best hamburgers in Madrid. At Hamburguesa Nostra in Manoteras, you do not have to wait for a quick dinner, no. That’s not the spirit of the place. Here, the first pleasure is to decide between dozens of hamburgers. Some creations cooked by a specialized chef whom mixes different types of meat, are always extraordinary. And not only that, but you will also find the most appropriate breads and sauces that have been created for each combination. Nowadays, eating a good hamburger in Madrid becomes a gastronomic delight. Hamburguesa Nostra proposes a quality experience at the level of the best movies you can watch at Cinesa Manoteras, which is right next to our venue. As previously mentioned, when sitting in our Manoteras Center restaurant, the experience begins by choosing what hamburger you want to try. The trick to our 30 varieties is the wise mixture with which they are made. You will find Spanish breed beef mixed with serrano ham and cheese powder, or with bacon. There is also Galician cow meat with aromatic herbs, garlic and pepper. All these and others are always made with national meat, but we also have products brought from Argentina, the United States or Japan. You will notice that there are exquisite hamburgers that we call basic and others that we call gourmet. In the latter, the best meat flavours melt in your mouth, with ingredients such as port wine or truffle oil. Calmly read our Hamburguesa Nostra menu and choose the first part, the tasty meat you want to eat. It is the first step to enjoy the best burger in Madrid. 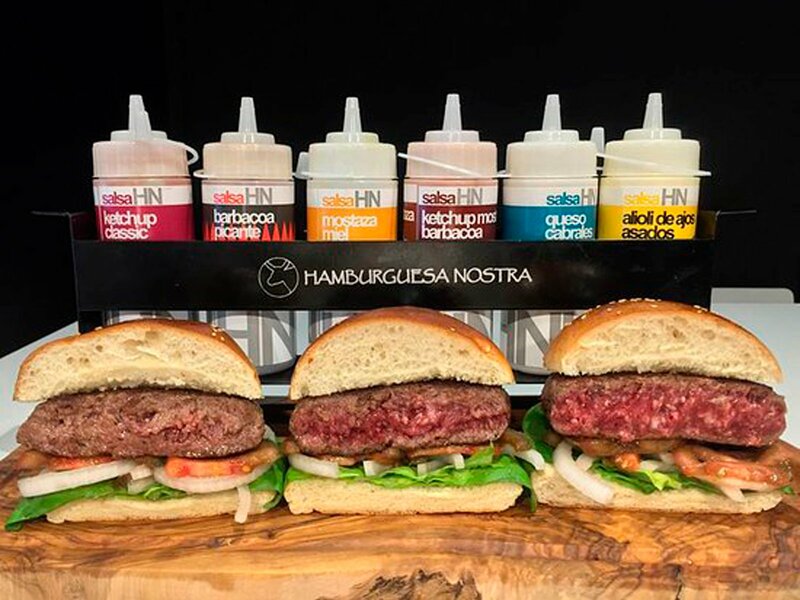 The Hamburguesa Nostra chef has created different sauces to accompany our burgers. He has already thought about the perfect combination. In fact, in our sauces menu you will find our recommendations. For example, the mayonnaise with a spicy diabola sauce is ideal for the strongest palates ad well as our Mexican, Argentinian and 5 peppers burgers. On the other hand, the sweet mustard with fresh tarragon and honey may be ideal for the Exotic hamburger or the Normanda burger. But these are just suggestions. Then you can choose to make your own mix, since there is nothing written about tastes. In short, in Hamburguesa Nostra Manoteras we offer you the best meats, with unique blends in their ingredients, marinated with sauces designed exclusively for them, with breads baked for the occasion. What more could you ask for? Check what’s playing in movie theatres in Madrid, come to the Centro Manoteras Cinemas & Restaurants, and enjoy the best burgers in Madrid.